Liberty Cablevision (Puerto Rico) Archives · Stop the Cap! Liberty Cablevision of Puerto Rico has estimated it will take as long as June of this year to fully restore cable and broadband service to Puerto Rico. It has been over 100 days since Hurricane Maria devastated Puerto Rico and the U.S. Virgin Islands. At least 45% of Puerto Rico remains without any electricity, and the U.S. Army Corps of Engineers estimates it will take until May to fully restore power — eight months after the hurricane hit. The island’s well-publicized power scandal with a politically-connected contractor also involves a decrepit utility, likely corruption in contract awards, incompetent management, and political interference from conservative groups who want to privatize the island’s utility and sell off its assets to corporate interests and entrepreneurs competing to turn the island into an experimental laboratory for renewable energy sources. All contribute to a slowdown in power recovery because no plan has adequate backing and sufficient resources to quickly bring power back online. Instead, mutual aid assistance from U.S. utilities is gradually rebuilding and strengthening the island’s existing power grid. Liberty Cable’s original service area. Liberty Cablevision claims many of its outages are power-related. When power is restored, their service will return as well. But many of their former customers will not. More than 140,000 Puerto Ricans have left since the storm hit Sept. 20 and some experts estimate more than 300,000 more could leave in the next two years. That’s on top of a similar number that have already left over the last decade as a result of the perpetual economic crisis on the U.S. island territory of 3.4 million. Liberty is rebuilding significant parts of their network, spending millions to replace damaged coaxial cable with fiber optics, especially in areas closest to the eye of the hurricane where damage was greatest. Liberty Global, controlled in part by cable magnate John Malone, this week completed spinning off Liberty Cablevision of Puerto Rico to Liberty Latin America, a new independent, publicly traded company. Included in the spinoff are Cable & Wireless Communications, a familiar telecom company serving Caribbean islands, parts of Latin America and the African island nation of the Seychelles, and VTR – Chile’s largest cable company. As of Dec. 29, 11.0% of Puerto Rico’s cell sites remain out of service. One county, Vieques, has greater than 50% of its cell sites out of service. 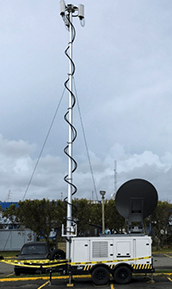 Satellite Cells on Light Trucks (COLTs) have been deployed in Aguadilla, Arecibo, Cayey, Coamo Sur, Fajardo, Guayama, Manati, Mayaguez Mesa, San German, Vega Baja, and Yauco and Terrestrial Cells on Wheels (COWs)/COLTs in Humacao, Quebradillas, Rio Grande, and Utuado. U.S. Virgin Islands: Overall, 20.5% of cell sites are out of service. 50% of cell sites in St. John are out of service. The FCC has received reports that large percentages of consumers are without either cable services or wireline service. While the companies have been actively restoring service, the majority of their customers do not have service because commercial power is not yet available in their respective areas. In Puerto Rico, there are no major telecom switches still affected. When broadcast stations are listed as “suspected to be out of service,” the statement is based on field scanning of relevant bands. Stations listed may be operating on reduced power or on a reduced schedule. John Malone’s Liberty Global has bought out Puerto Rico’s second biggest cable television operator — Choice Cable TV — and will convert its customers to Liberty Cablevision of Puerto Rico. Liberty joined Searchlight Capital Partners to close the $272.5 million purchase, which will make Liberty Puerto Rico’s largest cable company, passing more than one million homes and serving about 750,000 customers. Liberty put $267.5 million of the purchase on its credit card, using debt borrowing from another Malone-controlled entity — Liberty Cablevision — to fund most of the deal. Liberty Global contributed just $10.2 million in equity and its partner Searchlight kicked in $6.8 million in equity. The deal gives Malone’s company a total cable monopoly on the island. Choice Cable was the last standing cable operator not owned by Liberty, and served customers in western, southern, and central Puerto Rico. 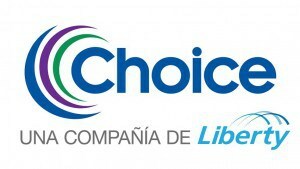 Choice itself consolidated several independent cable operators, including Cable TV Northwest (Aguadilla), Dom’s Cable TV (San Germán), Cablevision Mayaguez and TelePonce Cable TV. Now it has been consolidated itself. Choice Cable used to offer service in these Puerto Rican communities. Most of the rest of the island is served by Liberty Cablevision, which will now have a total cable monopoly across the unincorporated U.S. territory. According to Liberty Global, the combined cable company will be expected to generate at least $390 million in annual revenue. If it doesn’t, rate increases could be on the way. Channel changes have already been introduced. Liberty Puerto Rico added 18 new channels to the Choice Cable lineup at no extra cost. The Choice Pak package includes the new channels: AMC, AXS TV, beIN in Spanish and English, Cablevision, Disney Jr., Fox Sports 1, FX, Lifetime Real Women and PBS Kids. The Top Choice package will include: Crime & Investigation, DIY, Esquire, Fox Sports 2, History in Spanish, IFC, Military History and NBA TV. But several other channels will be dropped: MTV, VH1 and Nickelodeon, Comedy Central, Spike, TV Land and Palladia HD. These Viacom-owned channels were discontinued last year by Liberty in a dispute over programming fees. Liberty intends to offer up to 120/4Mbps Internet speeds, over 100 HD channels (352 channels total), and a “better balance of English and Spanish language networks” to current Choice customers.